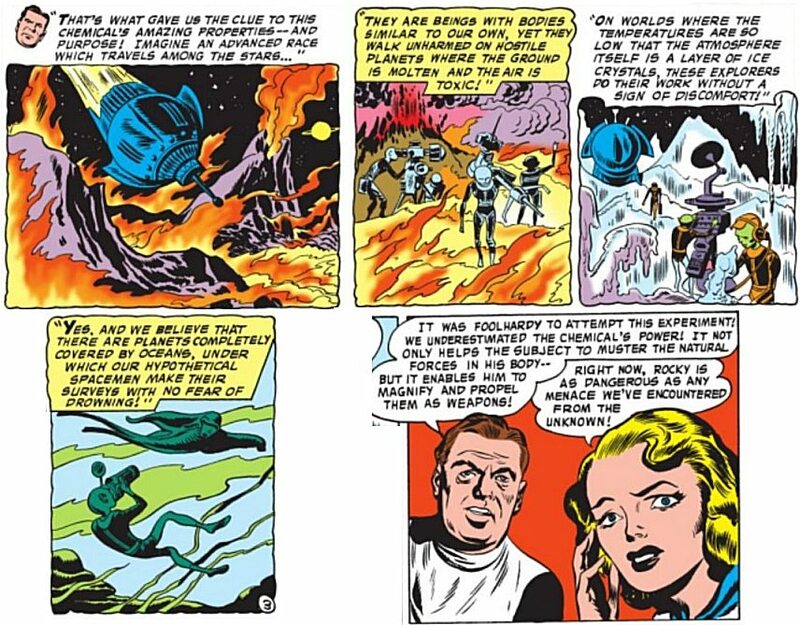 Jack Kirby wrote Challengers of the Unknown until issue 8. 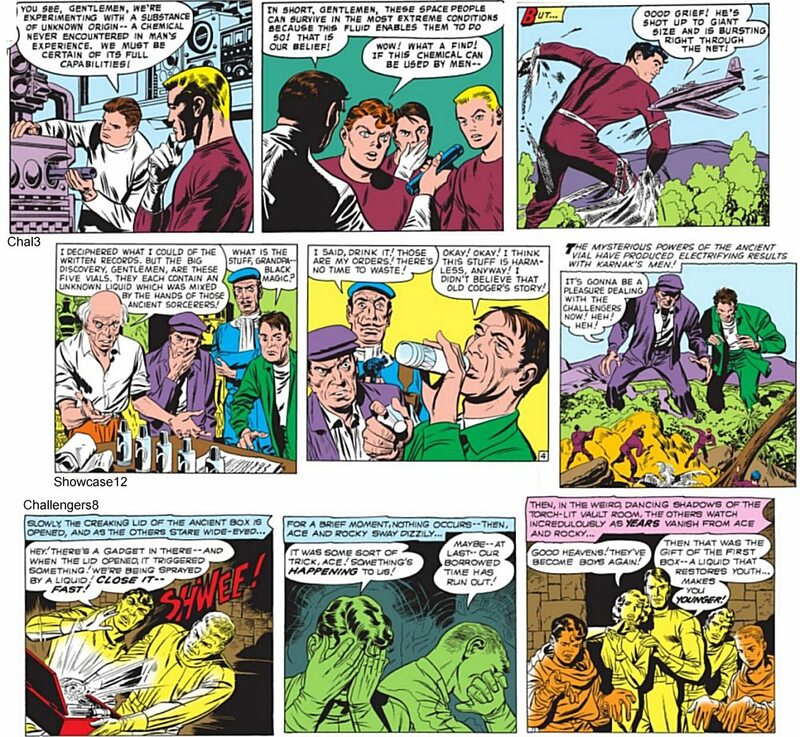 His story continues in Fantastic Four issue 1. Both series begins with four friends surviving a plane crash (or rocket crash) and then dedicating their lives to doing good. The first crash made them friends, the second crash gave them powers. In the early years, the Challengers/FF headquarters looked the same. They even stood in the same poses! The first Challengers story is about mind control: the giant is in the mind, and the energy globe communicates in the mind. In the next issue, the giant robot communicates and controls through the mind. Fanastic Four 3 is about mind control and another red monster who is defeated when they realise he is all in the mind. Fantastic Four 7 and 8 also rely on mind control. ...who wears a hooded cloak, and possesses incredible inventions. He lives in a castle... in America! At the end Morelian appears to die, but he was wearing a ring that gave him immortality, so it is very likely that his mind would simply transfer to another body. Just as Dr Doom gained this power in FF 10, though annual 2 hints that he may have already had something like it. The Challengers/FF visit outer space, underground, under the oceans, and every other exotic location. The first Challengers story has then fly to a remote island where they find a monster. The first Fantastic Four story has them fly to Monster Island. 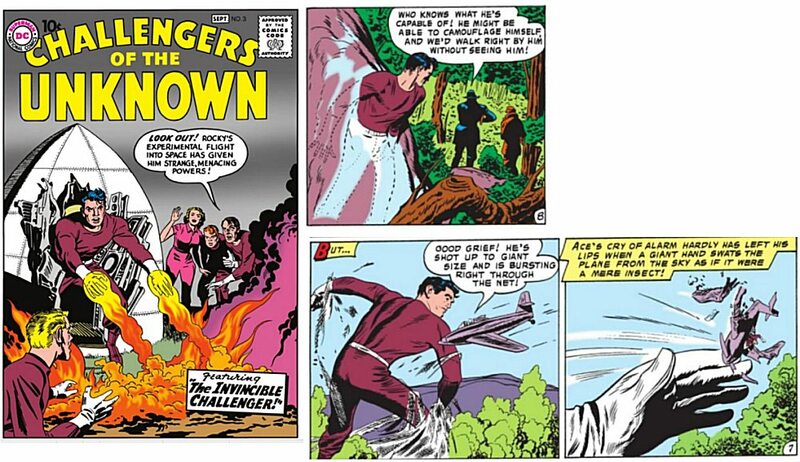 In Challengers 3, Rocky gains the powers associated with the Fantastic Four: flame, invisibility, changing his body size, and great strength. The Challengers exist to challenge the unknown. So it is natural that the rest of them would explore gaining the same powers. 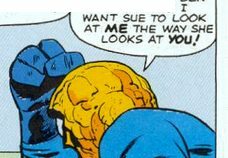 And they do, in Fantastic Four issue 1. Something about Rocky's trip must have been extremely painful or distressing. Because when he came back he violently attacked anybody associated with taking him into space: not just "Ace" (the example above) and the professor (below), but also the men involved in the space programme. We can explain this as a kind of madness, or of him losing his memory. But that is just opinion. All we know for sure is that the exact same thing happened in the Fantastic Four. 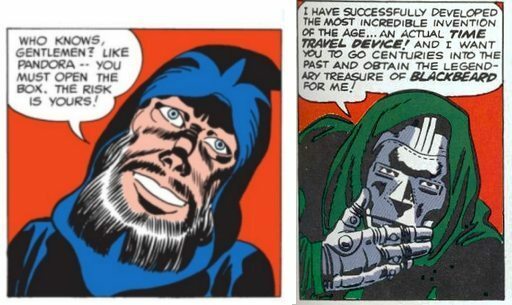 Here I have removed Stan Lee's dialog, so we can more clearly see Kirby's intent: changing makes the men angry and violent. The alien process gave them whatever powers they needed at the time. Ben wanted to hit Reed, and Reed wanted to tie up Ben. So Ben gained strength, and Reed gained the ability to stretch. That is exactly as explained in Challengers 3. 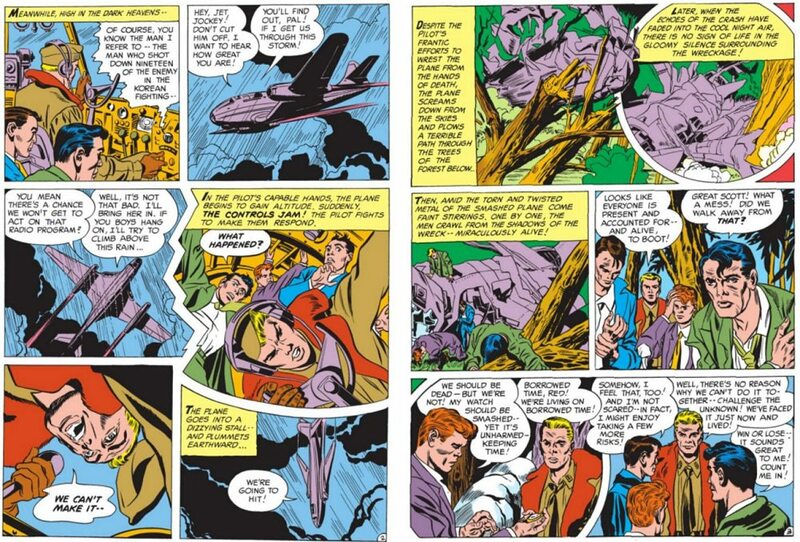 However, Reed (who planned the space flight) was not an expert on powers, so they didn't get general purpose abilities: were stuck with the first power they experienced. 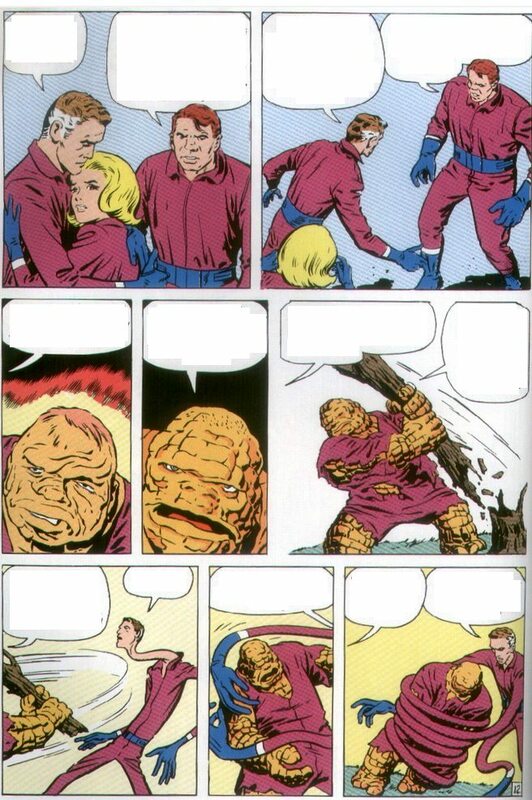 This anger between Ben and the others was probably the biggest thing that made the Fantastic Four stand out from other comics. Yet it comes straight from the Challengers. Notice how Rocky was able to recover when June held him and treated him with kindness. But Ben was never able to recover because he lost Sue forever. We will turn to that now. But generally, Stan's dialog simplifies the story, and loses the essential love triangle. If we ignore Stan's writing, and just focus on the art, we see that the love triangle explains all of Ben's anger and depression. Let's start with issue 2: when Ben is normal, Sue is smiling. When Ben becomes a monster again, Sue does not seem sad or worried, she just seems uninterested: she even avoids eye contact. In issue 3 Johnny is siding with Reed, the winner in the love triangle. He seems to be saying "get over it". A Kirby expert once pointed out that Johnny's position in that middle frame looks odd: possibly it is redrawn to make it more mocking? Either way, Johnny is siding with Reed, the man who caused Ben's problem and is now dating Sue. Issue 4 is even clearer. 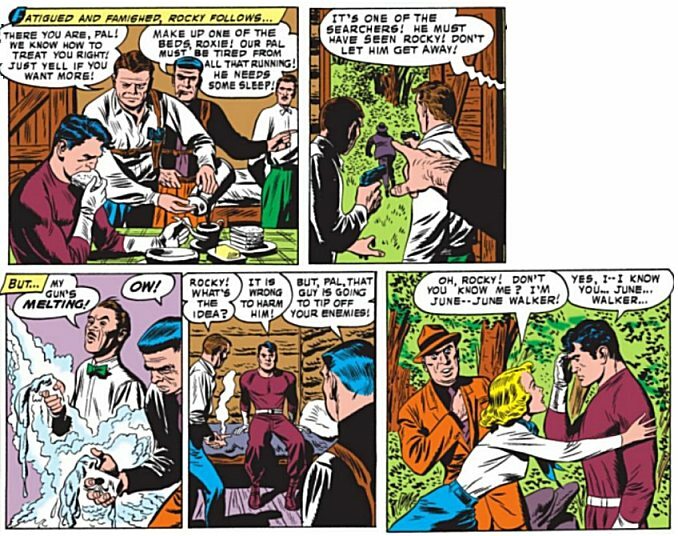 Again, ignore the dialog and look at the art: Sue is siding with Reed, and it drives Ben crazy! I am not saying that Stan's dialog was completely different from what Jack intended, but the obvious romantic nuance is completely ignored in the text. Finally, issue 6 is the clearest example yet: Sue is in another man's arms and it drives Ben wild! Worse, Ben is restrained by Sue's official boyfriend! The title, "when friends fall out", was probably drawn in by Kirby. Does it refer to Namor and Doom? No, because they were not friends, and we do not learn that Doom has betrayed Namor until next chapter. This chapter is about them all fighting over Sue. In FF 8 Ben finally leaves. Sue has sided with Reed, and Ben no longer wants to be reminded of that every day. Sue asks him to come back, but she is staying with Reed and Ben just wants out. And at the end he finds a girl who looks exactly like Sue. 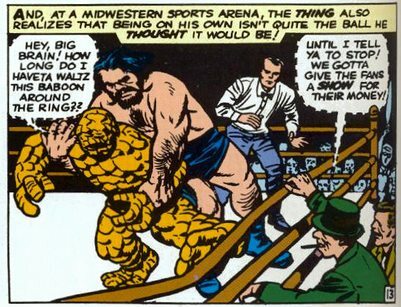 But in a reversal of issue 2's events, this "Sue" loves him as The Thing. In summary, the angry fighting between team members is classic Kirby, and arises naturally from the situation (unknown radiation can change people) that Kirby set up in Challengers. Why did Reed take his girlfriend and her kid brother along? Because together they were the Challengers of the Unknown, the four people best suited in all the world to this task. Why was Ben so concerned about shielding when the others were not? Because he had previously suffered the results. Why was Ben's appearance changed? And why was he unable to turn back? Why didn't the team get the same powers, or all powers? In Challengers 3 it was shown that a liquid plus radiation is needed for all powers. The monkey who only received the liquid only exhibited one power - immunity to flame. Why did they get those specific powers? This is explained in Challengers issue 3: the process is designed by aliens, to magnify existing tendencies, in order to let beings survive hostile environments. So the hothead got flame, the non-violent person got invisibility, and the mentally stretching person got physical stretching. What did Jack Kirby intend? Q What information, if any, do you have concerning the creation of The Fantastic Four? 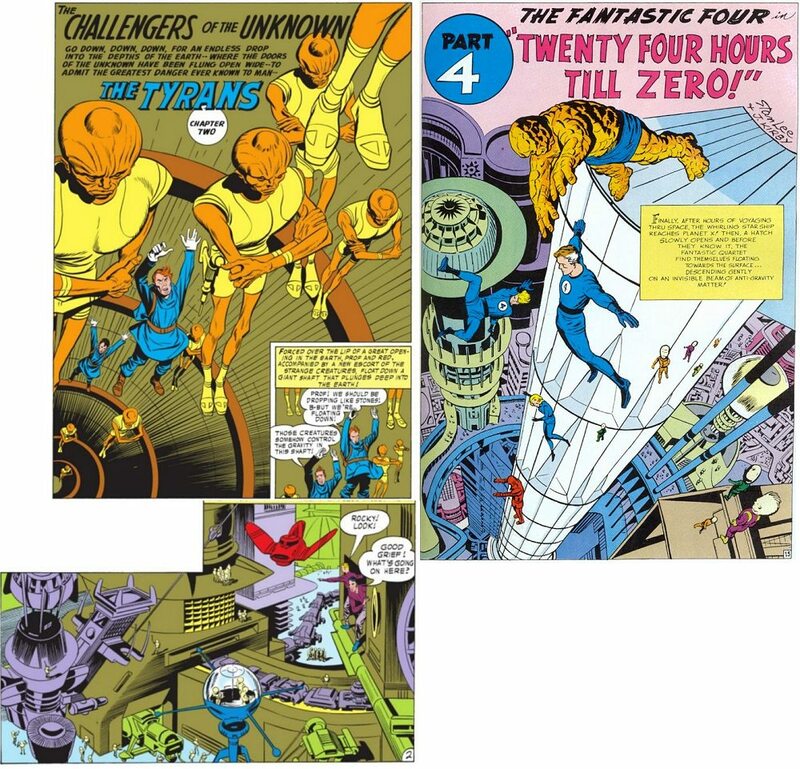 A In discussions with my father The Fantastic Four basically was a derivative of the, from what he told me, basically he came up with the idea just as a derivative from the Challengers of the Unknown that he had done several years earlier. Kirby: "The Challengers are us"
GROTH: "Can you tell me how you came about creating Challengers of the Unknown?" This is important. People sometimes complain that the Challengers don't have distinctive personalities. This is partly true, because they are deliberately blank slates: their purpose is to represent the readers, to see how we would solve a problem. They did not develop distinctive personalities until the Fantastic Four. 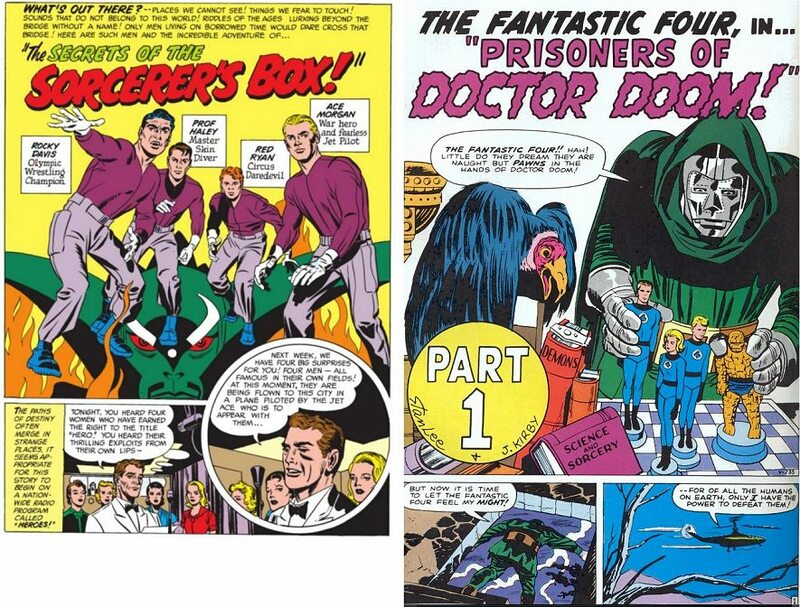 Kirby: The Challengers "were always precursors to the Fantastic Four"
The Challengers dealt with radiation and its effects (e.g. in Showcase 6, Challengers 3, Challengers 8, etc.). It is only natural that the next step focused on individual characters. GROTH: "Looking back on it, do you see the Challengers as a precursor to the Fantastic Four?" 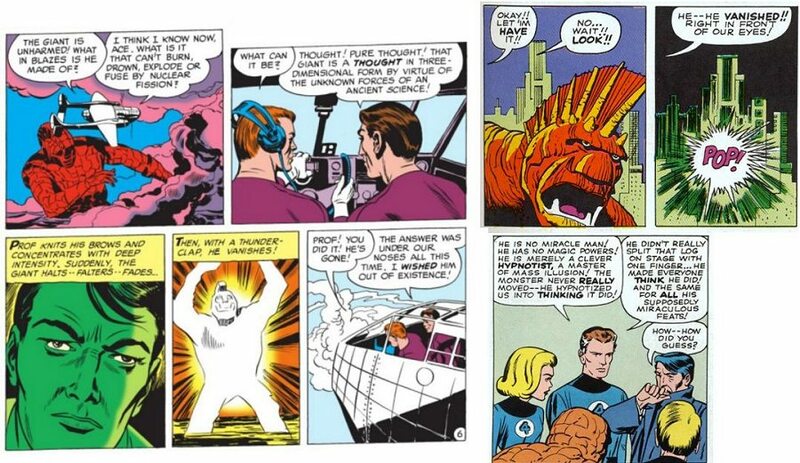 The challengers were generic, but the Fantastic Four brought them into focus as individuals with individual differences. Kirby: the FF is about the radiation, "not the characters"
Kirby saw the FF as about the effects of radiation, not the characters. The characters only became important later, as people grew used to them. "The idea for the F.F. was my idea. My own anger against radiation. Radiation was the big subject at that time, because we still don’t know what radiation can do to people. 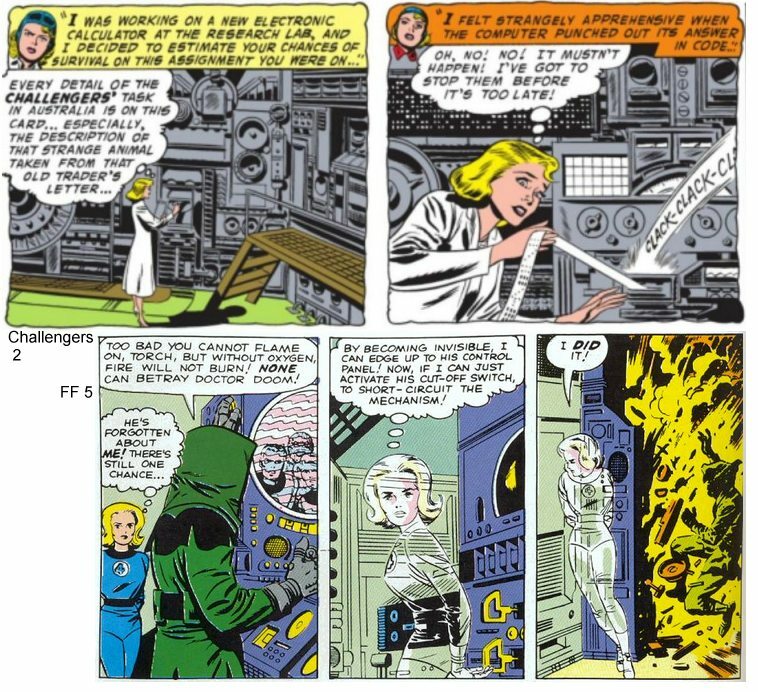 [...] The element of truth in the Fantastic Four is the radiation– not the characters. And that’s what people relate to, and that’s what we all fight about today. PITTS: You think people relate more to the radiation aspect than to the characters? We see this in the Challengers as well. 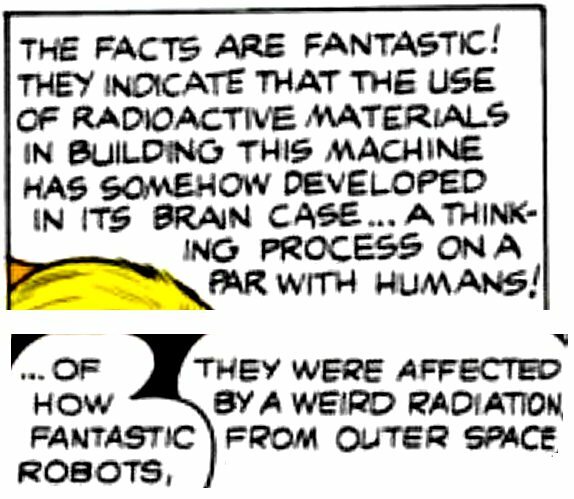 The second Showcase issue is about how radiation gave a machine incredible intelligence. In the final issue (Challengers 8) we see similar radiation from space, again giving super intelligence to robots. Did you notice that wording in each case? The radiation from space gave FANTASTIC powers. 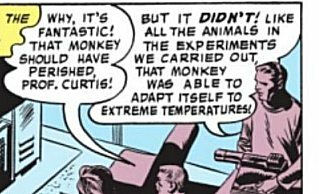 The same word was used to describe the super powered monkey that led to Rocky gaining flame power, invisibility, stretching and strength. What if all four team member gained these FANTASTIC powers? What would they call themselves? Kirby: I "allow the reader to interpret it his way. " "I was presenting my views to the reader and saying 'what do YOU think?' I think that's an imperative for any writer. In other words, no writer should feel that he has the last word on any subject. Because he hasn't got the capacity. He doesn't know! I don't know, see, I'm guessing as well as you [do], except I may be a little more descriptive, that's all. [...] I put enough chinks into the story to allow the reader to interpret it his way. Because I've always respected the reader. [...] I sold the best stories I could. But I didn't present my stories as the final word." 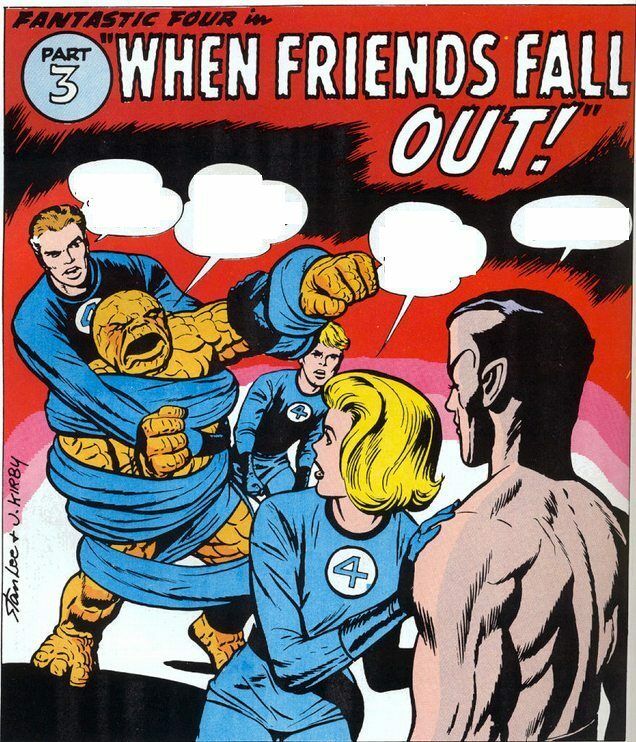 So if we want to say the Challengers become the Fantastic Four, I think Kirby would be perfectly happy with that. Fiction always has gaps. We do not know every detail about a person and their life, we just see the most interesting parts. This is especially true of the Challengers: most of their life and characterisation is not define. 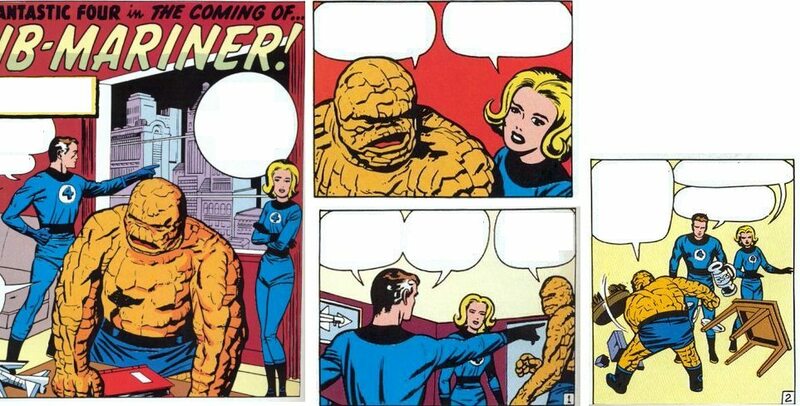 The Fantastic Four neatly fills those gaps. For example, the Challengers does not tell us Red's background. 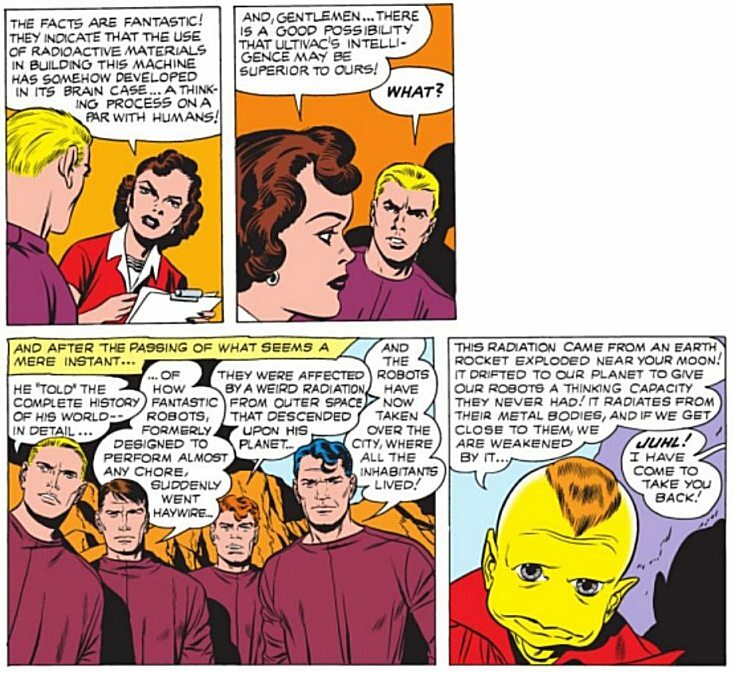 The Fantastic Four reveals that he is June's brother. Since they are gaps, they could be filled in other ways. The Challengers would also fit with fan fiction where Red is no relation to June. There are multiple ways to fill the gaps! But the Fantastic Four fit very neatly. The nickname Ace means the same as Mr Fantastic: this guy loves himself! He worked on the top secret military space program, so "Morgan" was probably an alias to keep his real name (Richards) private. "Ace" naturally takes on the role of leader of each team, even though they are in theory equals. His big goal is to enter space. 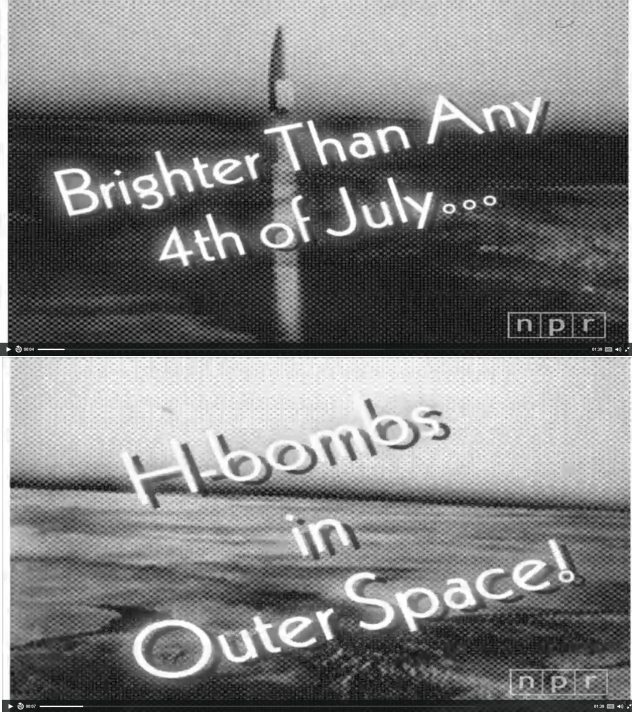 Remember, this was 1958, when America and Russia were racing to be the first in space, and when "the space program" was merely the high altitude part of the air force. In Fantastic Four 1, Ace succeeds. That was 1961, the year when in the real world man also entered space. "Ace" looks older and thinner in fantastic Four 1. This is easily explained by the youth serum in the previous issue, Challengers 8. After using the youth serum your age is supposed to return to normal. But the challengers are dedicated to exploring the unknown, and repeated use could easily cause a person's age to rebound too far. But after the first few issues Reed's age did return to Ace's age, and Ace's general appearance, but the grey-ish hair remained. Ryan, the "circus daredevil", is clearly the youngster of the group: he is always shown as shorter than the others, and the others take the lead. World class circus acrobats do have to be young. Possibly his age was further reduced after experiments with the youth serum. Johnny Storm comes from a circus family. Here Stan's added dialog implies that Johnny was new to the circus, but Kirby's art says otherwise: his face is relaxed, as if this is familiar territory. 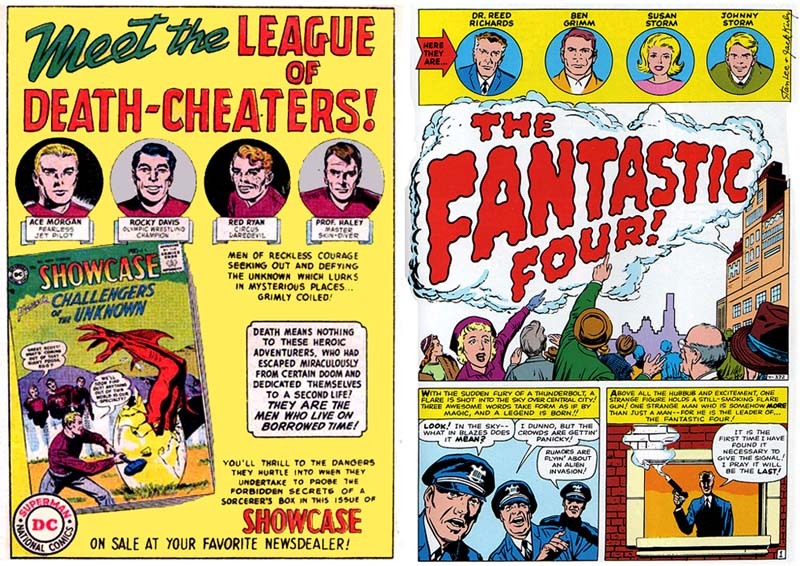 I follow Kirby's FF, not Lee's. "Red Ryan" sounds like a circus stage name. 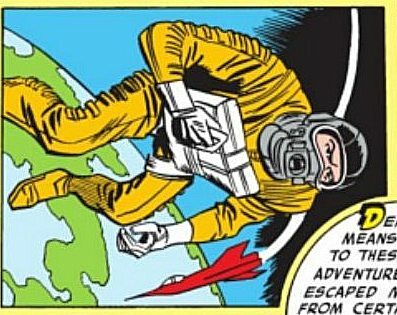 "Johnny Storm" could also be a code name, but seems to be used as his real name. Johnny's distinctive hairstyle remains the same. The change from orange to yellow can easily be explained by the comic book printing technology of the time. June is the less powerful member of the team, and the last to join. As time goes on, June looks more like Sue. This depends of course on her hairstyle and who is inking: the earlier Fantastic Four inkers were often rushed. June/Sue is an expert on computers. She is able to short circuit Doom's computer in a second, with her hands tied behind her back. A cur-off switch does not normally cause a computer to explode! Clearly she understood exactly how the machine worked. Note that her skill was in 1950s era computers: this skill became obsolete once the team gained access to the more advanced computers from planet X in FF 7. June/Sue makes up for her lack of physical power with her intelligence and bravery. This is often obscured by Stan Lee's dialog, but Kirby's art and plotting makes it clear: June/Sue is a match for any of the boys. Wen we first meet Sue she is June Robbins. But soon after she is June Walker and has dyed her hair blonde. This implies a marriage to an unnamed Mr Walker, and possible insecurity. 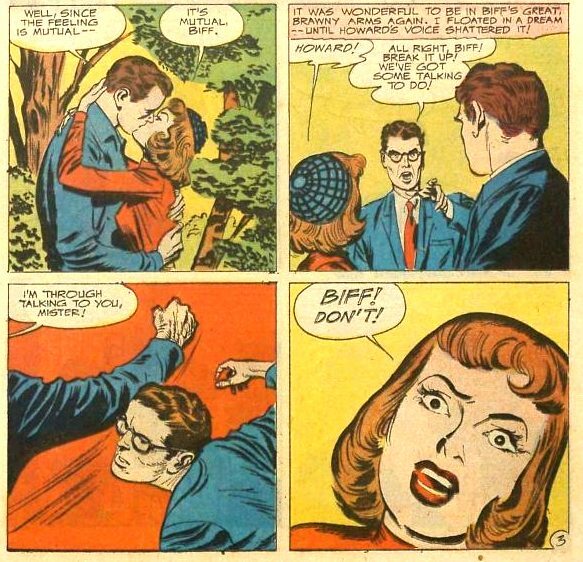 This insecurity is supported by her first appearance, where the Challengers are amazed to find a woman in a demanding role: she has to fight 1950s sexism all the time. We don't know "Mr Walker", but "Patsy Walker" appeared in FF annual 3, and had a large extended family in her own comic. Patsy began in "Miss America" magazine in the early 1940s, published by Timely when Kirby was working there, so he was familiar with the name. Here for example is Patsy's younger brother, Michael Walker, who would certainly be old enough to marry June Robbins in 1958. Of course, June could have married a different Walker. So we can read between the lines: Sue/June had a failed marriage to one of the Walker clan. This explains why she was not romantically interested in the Challengers, despite them being the most alpha of alpha males, and her having so much in common (becoming an honorary challenger due to her own skills). 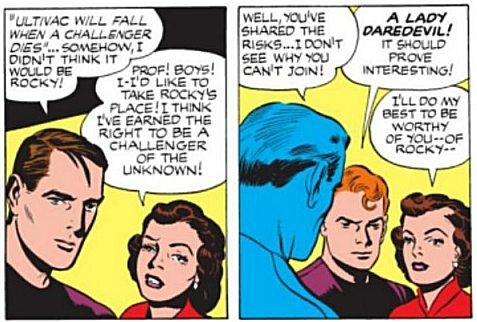 No doubt meeting the challengers contributed to her failed marriage: in Challengers 2 she would have been engaged to one of the Patsy Walker family, not known for their high intellect. The Challengers were clearly her soul mates - how could she be happy married to one of dizzy Patsy's family? She had made a terrible mistake. We don't know the details of the divorce, she is clearly a very private person, but once divorced she was free to become romantically involved again. Ace and Rocky were the natural leaders of the pack, but who would she choose? Of all the team member, Professor Haley seems least at ease. He is the odd one out, using his title and real name. When the others look excited and interested, Haley seems cautious or uncomfortable. When the others love action and fighting, Haley prefers to study his books, and the relative silence and peace of the oceans. Once June had joined the team it is natural that Professor Haley would retire. The Challengers explains the origin of the team's super powers: aliens use a specially designed liquid to heighten their abilities as needed. An ancient humans civilisation managed to create a crude version that could (at least) turn people into giants. Sorcerers down the ages have managed to create simpler versions with limited abilities, e.g. making a person's body young. But they are clearly variations on the same liquid. 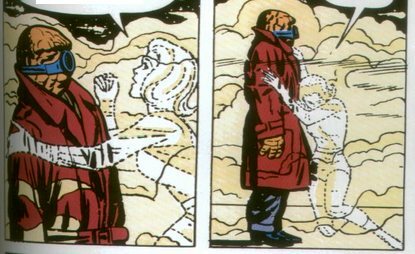 Note how the de-aging liquid is in the form of a mist: the Inhumans also used a mist to change their DNA. Has that caught your interest? Good! Coming soon: an issue by issue review! In the story, Reed has his own seismograph. At the time, thanks to the 1958 Geneva Convention, there was a network of 150 seismograph stations dotted around the world, designed to detect atomic tests. Bomb tests often took place underground, and no doubt this was why the Mole Man destroyed nuclear plants in revenge. 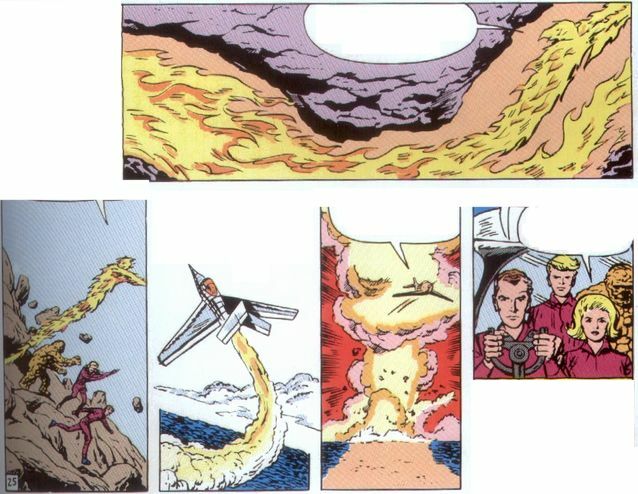 The story ends when Reed or the Torch sets off an atomic explosion. The dialog says the Mole Man did it, but that makes no sense: why blow up your own house? 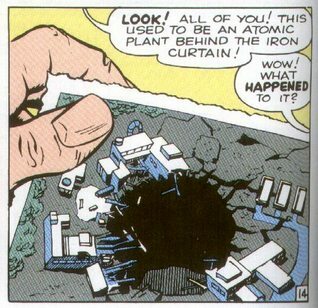 The art seems to indicate that Reed set off a bomb after Johnny sealed the entrance. 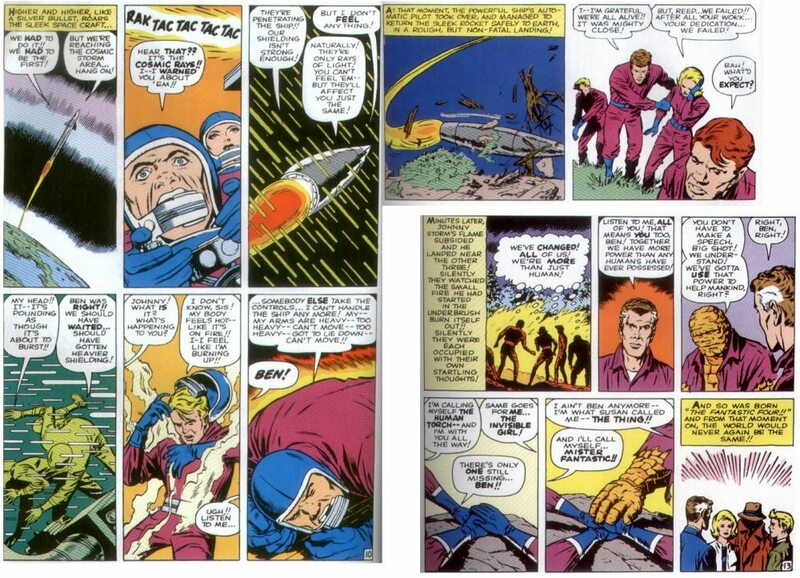 This is confirmed by the Mole Man's dialog when they next return: Reed set off the bomb. Where did this idea come from? 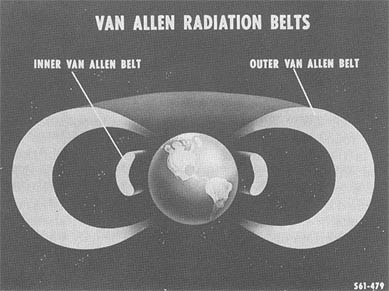 In 1958, when Kirby was writing Challengers, the Americans had just discovered the Van Allen radiation belts. They were planning to explode a hydrogen bomb in space to understand how they interact. 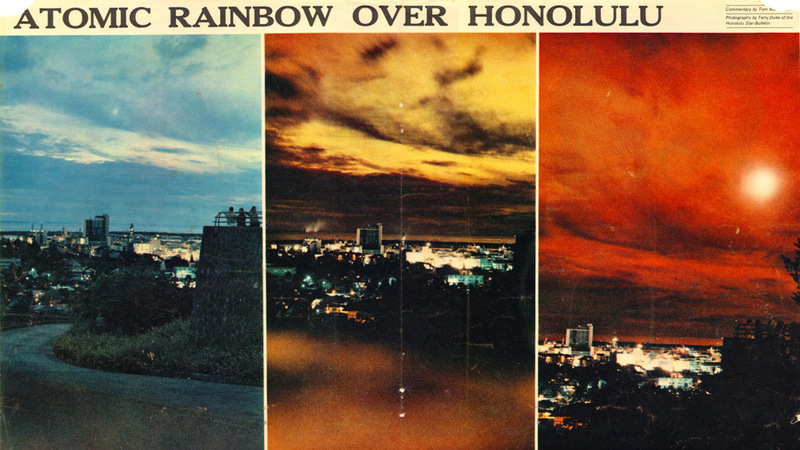 The plan wasned explosion eventually took place in 1962, producing a spectacular light show. 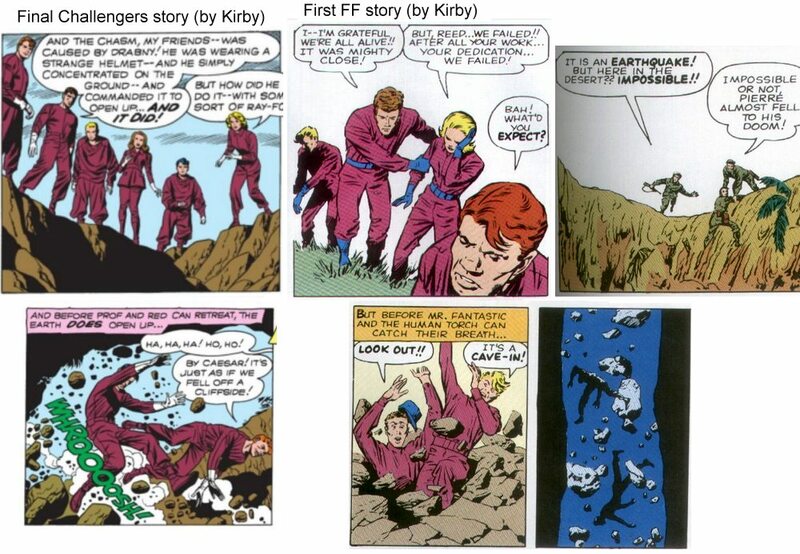 Click the link for details, or Google "Starfish Prime"
So when the Fantastic Four entered the Van Allen radiation belts above Earth it was just as Kirby said: it was linked to man's experiments with the atom bomb, and humans did not know what that radiation would do.